Ethology is the scientific study of animal behaviour (U.S. behavior), and a sub-topic of zoology. Ethology overlaps, to some extent, with psychology. Psychology is a social science which studies human behaviour, but many psychologists have done experiments on learning in animals. Ethology studies animal behaviour, but many ethologists have been interested in human behaviour. An American specialist on ants, William Morton Wheeler, first used the term 'ethology' in English in 1902. The study of animal behaviour, which had been going on in an anecdotal way since Aristotle, had its roots in natural history. It became more scientific during the 19th century. 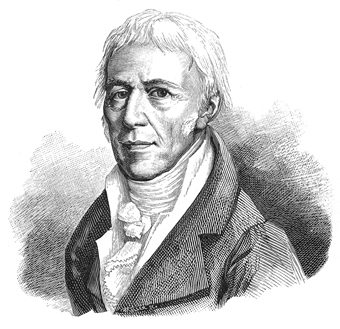 The French zoologist Étienne Geoffroy Saint-Hilaire was the founder of ethology in Europe, and his son Isidore produced a three-volume encyclopaedia Histoire Naturelle Générale. In the third volume he talked about animal behaviour in almost modern terms. The entomologist J.-H Fabre (1823–1915) was a remarkable observer of natural life. His popular writing on natural history kept ethology alive in Europe. Douglas Spalding (1841–1877) was a British biologist who was the first to notice the effect called imprinting. Instinct and imprinting were the first scientific concepts in ethology. He was able to prove that the behaviour of chicks after hatching from the egg happened even when they had no experience, practice or even information from the senses. Therefore the capacity was inherited. Studies by Charles Otis Whitman, Oskar Heinroth and Julian Huxley set the tone in the 20th century. This work was mostly on bird behaviour, especially mating behaviour. The behaviour of birds played a big part in early ethology, but there was a start to studying our nearest relatives. Wolfgang Köhler's Mentality of Apes was a landmark in the study of primates. The next generation began during the 1930s with the work of Austrian biologists Konrad Lorenz and Karl von Frisch, and the Dutch biologist Niko Tinbergen. The three men were joint winners of the Nobel Prize in Physiology or Medicine for 1973. Lorenz is famous for his 'longitudinal' studies: he lived with the animals he researched, and made observations throughout their lives. Then he wrote about what he had discovered in long, very readable papers. He researched instinctual behaviour, which he called 'fixed action patterns' (FAPs). Lorenz popularized FAPs as instinctive responses that would occur reliably in the presence of specific stimuli (called sign stimuli or releasing stimuli). von Frisch worked on communication in honey bees: the famous 'bee dances'. Tinbergen experimented with the stimuli which trigger fixed action patterns. He found out that artificial super-stimuli could often work better than the natural stimuli. Ethology is a combination of laboratory and field science, with a strong relation to certain other disciplines — e.g., neuroanatomy, ecology, evolution. Ethologists are typically interested in a behavioural process rather than in a particular animal group and often study one type of behaviour (e.g. aggression) in a number of unrelated animals. In the 1960s Nico Tinbergen set out a framework for research on behaviour. It involved four questions and their answers. 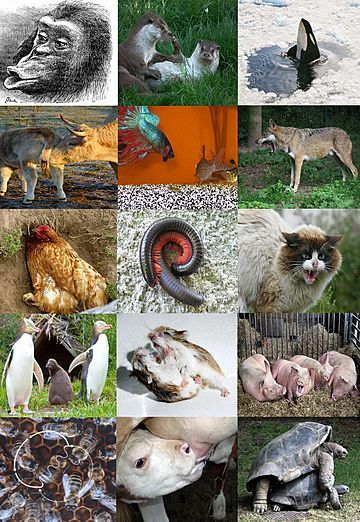 Function — How does the behaviour affect the animal's chances of survival and reproduction? Why does the animal respond that way instead of some other way? The only scientific explanation for an animal’s behaviour is that it is well adapted for survival and reproduction in its environment. A trait is the result of its past contribution to survival. In practice, this is simple. For instance, birds fly south in the winter to find food and warmth, and mammalian mothers nurture their young, thereby having more surviving offspring. Causation — What are the stimuli that trigger the response, and how has it been modified by recent learning? Evolutionary history — How does the behaviour compare with similar behaviour in related species, and how might it have begun through the process of phylogeny? Phylogeny explains why some adaptation is less than perfect. From where it is, there are always some possibilities which a particular species can never get to. This is because all stages in evolution must be viable, else extinction occurs. Another reason is that not all traits of a species can be maximised at the same time. Increase in armour, for example, is bound to slow down movement. Teeth which are best for vegetation are much less good for meat. The final result is a set of traits, most of which are sub-optimal. Earlier phylogenetic stages and (pre-) conditions which persist often determine the form of more modern characteristics. For instance, the vertebrate eye (including the human eye) has a blind spot, whereas octopus eyes do not. Once the vertebrate eye had evolved, the only way it could improve was to minimise the effect of the blind spot. We don't notice it ordinarily, because with binocular vision what one eye misses, the other fills in. Development — How does the behaviour change with age, and what early experiences are necessary for the behaviour to be displayed? All instances of behaviour require an explanation at each of these four levels. For example, the function of eating is to acquire nutrients (which ultimately aids survival and reproduction), but the immediate cause of eating is hunger (causation). Hunger and eating are evolutionarily ancient and are found in many species (evolutionary history), and develop early within an organism's lifespan (development). It is easy to confuse such questions – for example to argue that people eat because they're hungry and not to acquire nutrients – without realizing that the reason people experience hunger (causation) is because it causes them to acquire nutrients (function). Example of imprinting in a moose. Ethology Facts for Kids. Kiddle Encyclopedia.